Other than the mandatory frontal and side air bags, it can be hard to know what safety features to look for in a car, especially when it’s not just about your safety anymore. When it comes to a safety-first family car, there are four essential safety features you simply must consider. Anti-lock brakes don’t lock up when you slam down on the brakes in emergency situations. This helps you stay in control of your steering and significantly reduces braking distance, even on a wet road. Most drivers have experienced a slight loss of control when turning the car in the rain or having to stop a bit more suddenly, the only thing stopping you from looping around and skidding off the road is this system. This feature ensures that not only you are safer, but also those who share the road with you. 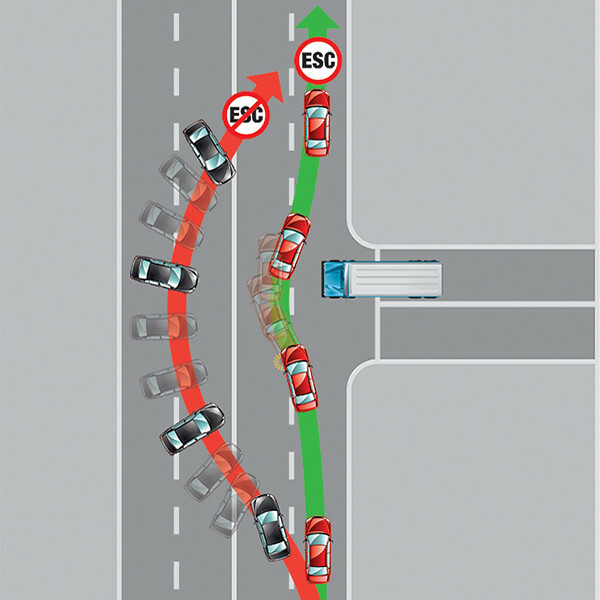 Electronic stability controls (ESC) can help you maintain control your vehicle and stop rollovers. It does this by using sensors and an on-board computer to determine whether the car is losing control, and will then apply brakes to individual wheels to get the car back under control. It’s usually available as an add-on when you purchase a car, and you should definitely go for it: it could save your family’s life. In our modern era, newer cars will often feature other computer-aided safety measures. Some these days are even able to communicate with each other to avoid collision, or even detect people with a smartphone to keep pedestrians safe from road accidents. This is the simplest and least tech-heavy solution, but latches for a baby seat really are quite important. These latches will hold your child’s seat in place without having to use your car’s seat belts, thus providing a much more robust anchor. If you’re going to crash, you want to know that your child’s seat is safe and sturdy. A rear-view camera can sometimes seem a little excessive. I mean, what’s the mirror for, right? But when it comes to kids (and pets, mind), it’s an invaluable safety asset. Whether you’re pulling out of the driveway or have just been shopping, it can be easy to lose track of where your energetic little one is. A rear-view camera ensures that you always know what’s right behind you when you’re reversing, and can not only help in protecting your child, but it can also help you pull into and out of tight parking spaces. It’s safe and practical, and you really should look into it. Giving your foot that break when you’re making your way down the freeway on a long road trip can do wonders, but it loses its use when you hit even light traffic. Using cruise control is something that has become second nature to a lot of people going on long drives, but it gets a little bit stop-start in certain circumstances. 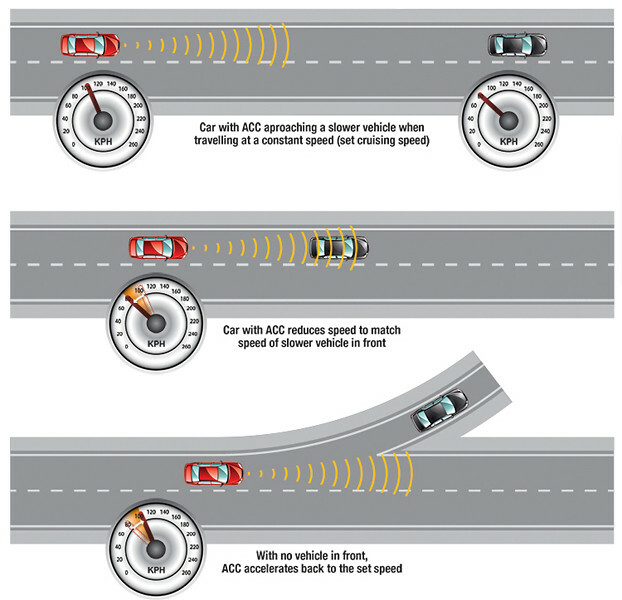 Adaptive cruise control can automatically help slow the car down in traffic, allowing the car a safe distance from the car in front and stopping you from having to keep switching off the cruise control.